Looking after both you and your breakfast: the Count of Calheiros revives an ancient craft. Do you remember the entrepreneurial count of Calheiros? 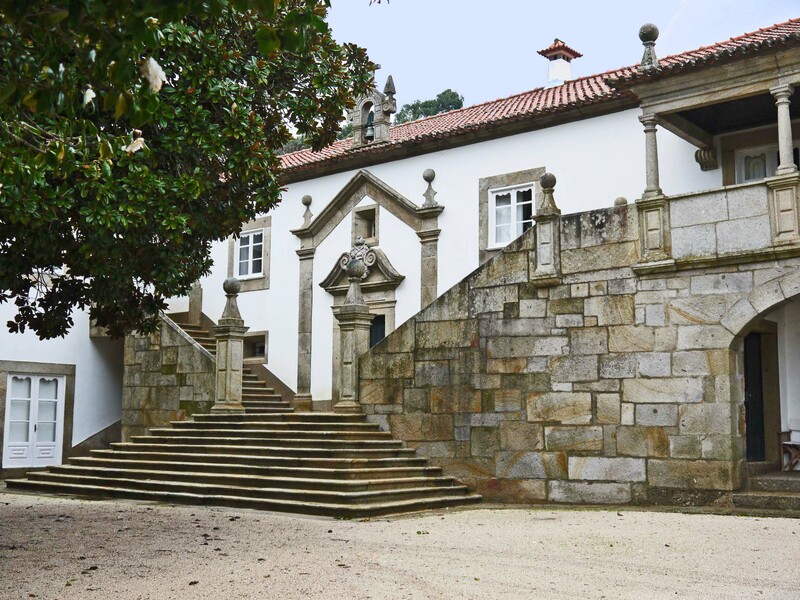 We visited his manor house in The Paco de Calheiros: tradition, continuity and modernity. Just have another glance at his lovely home. I told you in my first piece that we would return later to see another of the count's projects and so I'm keeping that promise. I learned of this project when the count was showing me the manor house kitchens and we saw a plastic bowl full of yellow powder. What do you think it is? This is the very first bowl of maize that the count has ground in a restored mill from the maize he has grown on his own land. The mill, which is at the back of the house, is tiny. It is not driven by wind as so many white sailed mills are in Southern Europe but by water cascading down the hillside behind the manor. 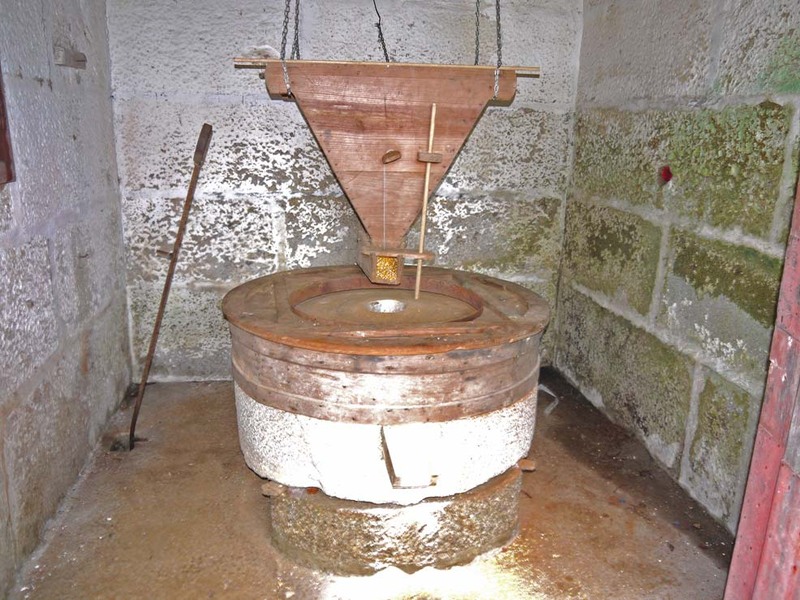 In the picture below, you can see the hopper which feeds the grain on to the mill stones, which grind it into the flour. 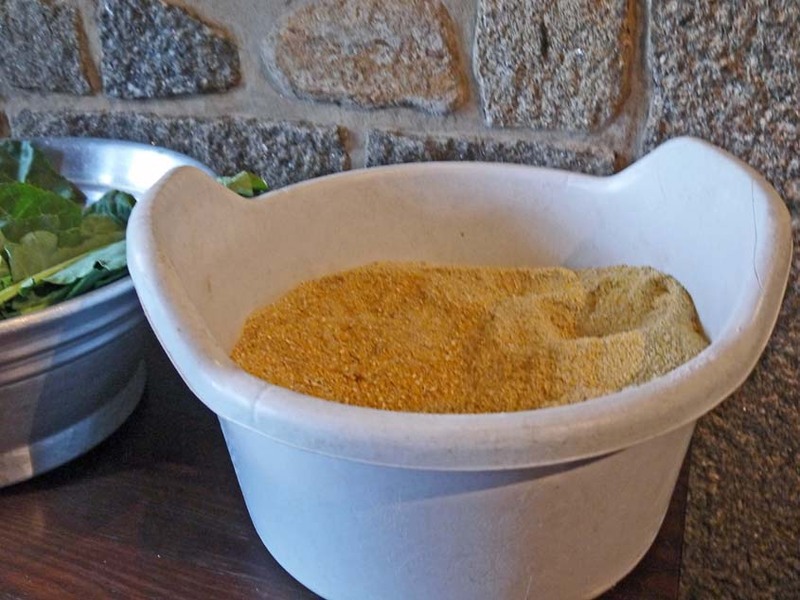 This yellow powder is used in the baking of a heavy bread known as 'broa'. As well as for breakfast, broa is often served with the hearty vegetable soups to be found all over Portugal and especially with 'caldo verde' a potato soup in which float tiny shreds of brilliant green kale and chunks of chorizo. The count, of course, has a thoroughly modern kitchen in which to bake bread and make the banquets he serves to special groups but traditionally broa would have been baked in a stone oven similar to an Italian pizza oven. This is the manor house's old oven - now found in a scullery - which the count has restored to its former state. After baking, the loaves would be stacked on wooden slats and raised high above the kitchen work area so they could cool ready for use or storage. 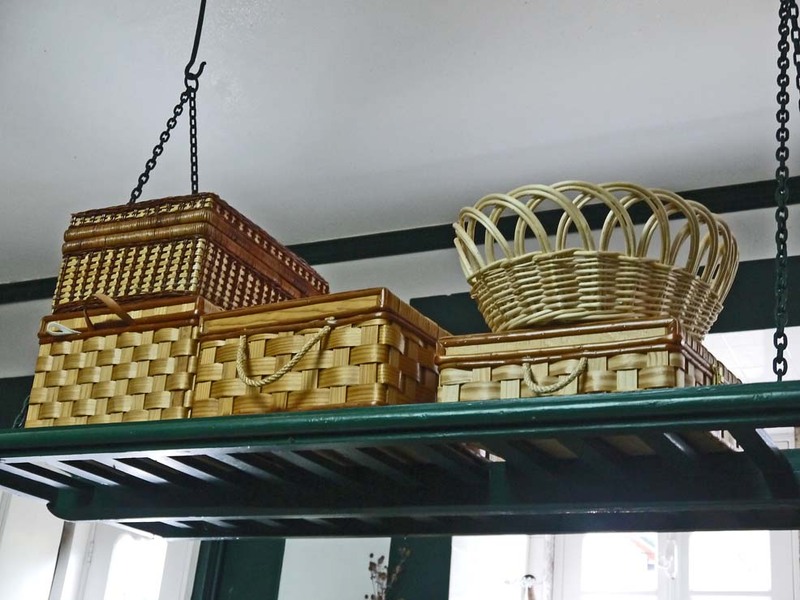 At the moment the rack is piled high with pretty woven baskets. If you choose to visit the lovely Paco de Calheiros and find broa on your breakfast table, you will know that, interested both in the provenance of the food he serves and in the preservation of traditional crafts, the count is looking after you well. 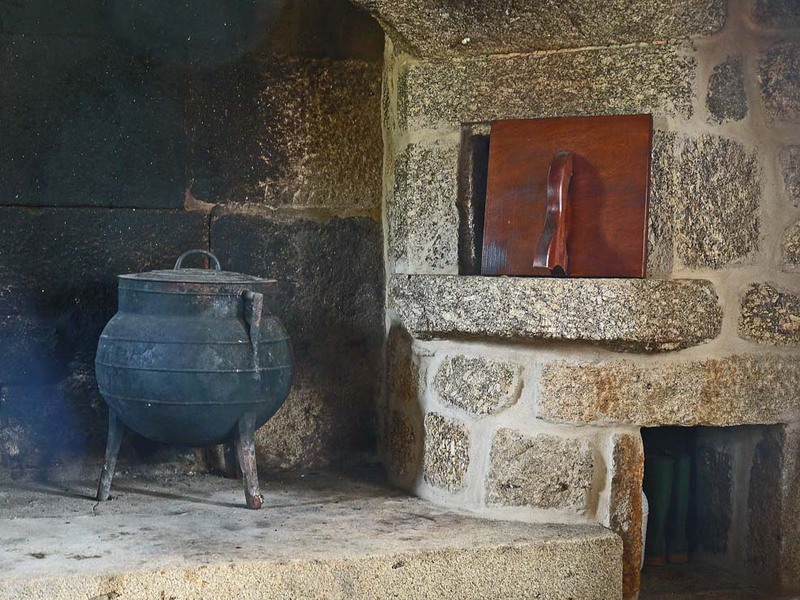 Do you know of any traditional foods or crafts which are being preserved in modern Portugal? Do write in and tell us about them.